Erika Adams | Clarksville Sports Network - Clarksville Tennessee's most trusted source for sports, including Austin Peay State University. 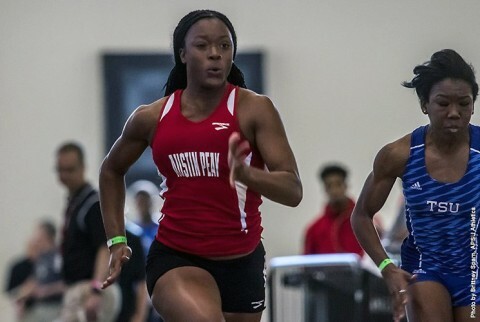 Charleston, IL – Places on the podium for freshman Lennex Walker and sophomore Tymeitha Tolbert highlighted the second day of competition for Austin Peay State University track and field at the 2018 Ohio Valley Conference Indoor Championships, hosted by Eastern Illinois at Lantz Fieldhouse. Clarksville, TN – Senior sprinter Kymmalett Ross, of the Austin Peay State University track and field team, has been named the Copies in a Flash APSU Athlete of the Week. Ross was immaculate at last weekend’s Thundering Herd Invitational, hosted by Marshall. 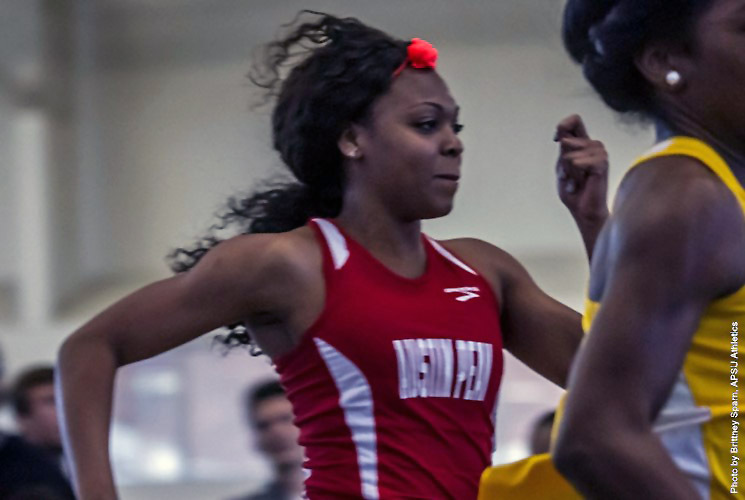 The senior equaled Erika Adams’ school-record 60m dash with a 7.61 mark, taking runner-up honors in the process, and broke the 200m record less than two hours later with a 24.51 mark that also netted her runner-up honors. 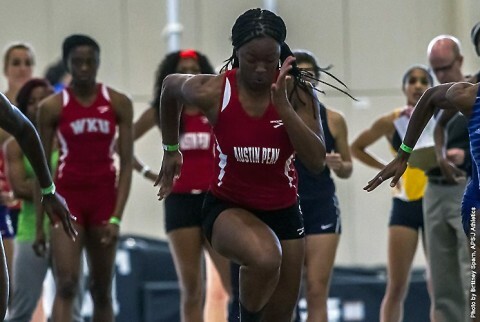 Johnson City, TN – Head coach Doug Molnar had a lot to be pleased about following APSU’s two-day appearance at the ETSU Invitational. Johnson City, TN – Day One of the 2016 ETSU Invitational proved to be a successful one for Austin Peay State University track and field team, as the Governors produced a victor in the field and a number of qualifiers on the track for Saturday’s final. Topping the list for not only Austin Peay but the entire 25-competitor triple jump field was junior Kaylnn Pitts. Brentwood, TN – Fourteen Austin Peay State University student-athletes have earned the Ohio Valley Conference’s Academic Medal of Honor presented by Army ROTC, Monday, for their 2014-15 academic performance. Austin Peay’s 14 honorees were among 199 OVC student-athletes recognized for their performance in the classroom. It was the second-highest total in the 22-year history of the award, trailing only the 212 winners in 2012-13. Every Academic Medal of Honor recipient for the 2014-15 academic year posted a perfect 4.0 GPA. 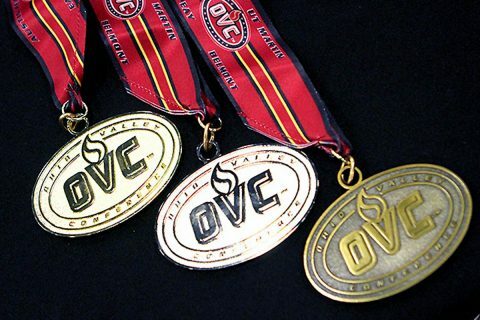 Brentwood, TN – Seventy-nine Austin Peay State University student-athletes were named to the 2015 Ohio Valley Conference Commissioner’s Honor Roll, Friday. Austin Peay’s 79 honorees were among a record 1,279 student-athletes recognized for their performance in the classroom, topping last year’s 1,255 honorees. 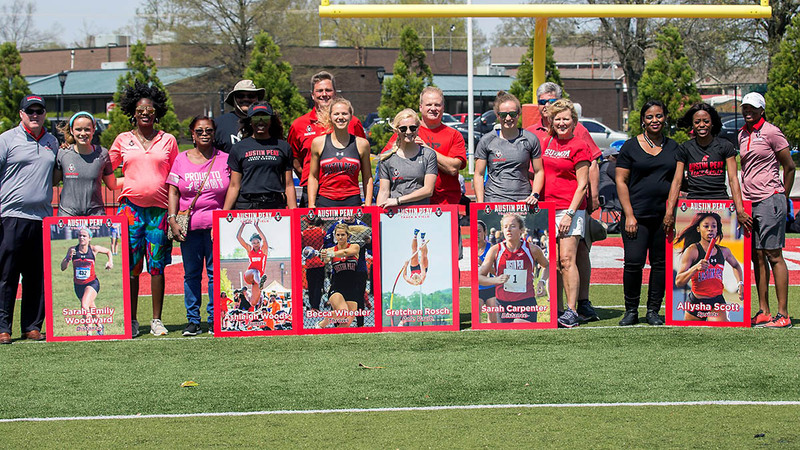 Clarksville, TN – A department-record 37 student-athletes earned 4.0 grade-point averages during the Spring 2015 semester, the Austin Peay State University athletics department announced Wednesday. Those 37 student-athletes were among 159 named to the Spring 2015 Athletics Director’s Honor Roll, representing more than half (52.3 percent) of the department’s student-athletes. 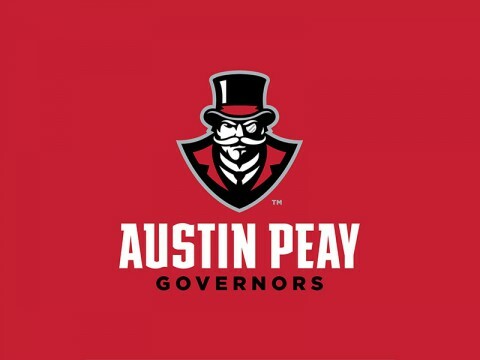 In addition, 83 student-athletes were named to Austin Peay’s dean’s list. The department finished both the spring semester and 2014-15 academic year with a 2.88 GPA. Clarksville, TN – Austin Peay State University closed its school year this past week with the Lady Govs outdoor track and field team hosting the Ohio Valley Conference championship and the baseball team finishing its regular season, but it also marked the second straight year without a team OVC championship. 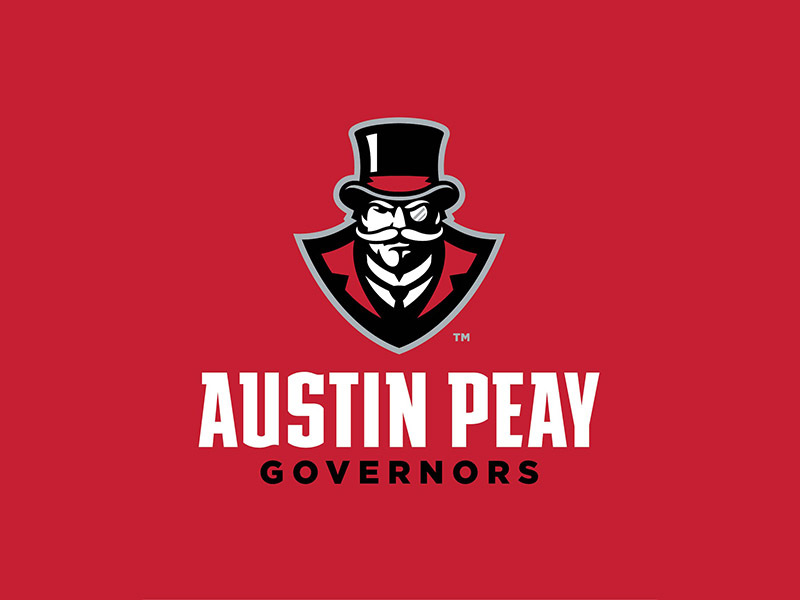 The last Austin Peay OVC team championships came during the 2012-13 season, with the Govs winning conference titles in men’s tennis, men’s golf and baseball.